You will have to consider many factors before you plan on settling in a foreign country with your family. The country you choose must provide you the maximum amenities and facilities that will secure your family’s future and well-being. In case you are thinking of immigrating to Australia, settling in the capital city would be your best choice. Canberra is a wonderful city to settle in with your whole family because of its several advantages. Canberra is quite progressive in outlook with beautifully planned infrastructure. This region is also called Australian Capital Territory (ACT). Being the capital city, Canberra has a lot of political significance. A large portion of the population has taken up jobs in the government sector. The city takes pride in its extravagant houses and highest average income. Below we have mentioned some of the features that would compel you to take up permanent residency to Australia for living in Canberra specifically. It is a natural concern to worry about the employment opportunities when moving to a new country. Canberra would definitely be a great choice as it has low unemployment rate along with several employment opportunities in a variety of sectors, be it government or private throughout the year. This is another great feature of Canberra which makes the city a family friendly destination. The city has also been named as “20 minutes city” because of its easy transport facilities which will definitely take you anywhere within time. The road network is extremely smooth with less traffic even at peak hours. In this busy world, finding time for your family is crucial. Hence, living in a place that lets you save time on travelling is definitely a boon. The air in the city is less polluted because the city is surrounded by nature. It won’t be as dense as in Sydney or Melbourne, but just the right amount that makes the city pollution free. The food here is extremely popular in the entire Australia. If have an undying love for food and wine, this city will take you on a rollercoaster ride. You will also have so many things to do for fun in and around the city. You will have access to beaches and mountains if you live in Canberra. It is a perfect place for people who want to roam around and visit places like the National Zoo, cultural events, Dinosaur museum, Aquarium, etc. You can apply for a State Nominated Visa (Subclass 190) if you want a PR in Canberra. This visa category will let you work and live in the country permanently. 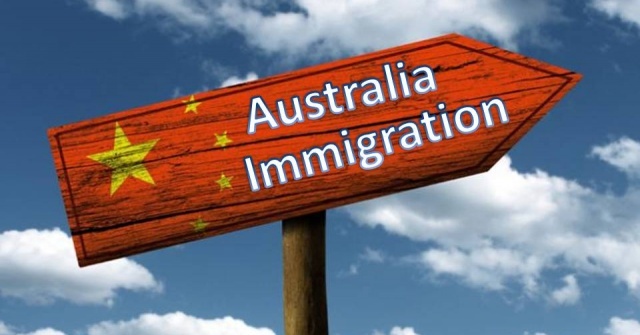 You will also have to follow the point system according to the General Skilled Migration (GSM) pathway for permanent residency Australia Services for assisting you through the process will be provided by many consultancy companies. The first step will require you to choose an occupation that matches your experience and skills from the ACT Skilled Occupation List. After obtaining your state nomination, you will receive an ITA (Invitation to Apply). Once you receive an ITA, you can apply for permanent residency in Australia. If you need any assistance regarding subclass 190, you can email us at [email protected]. Immigration Services permanent residency to Australia. permalink.